The California Department of Corrections and Rehabilitation (CDCr) is poised to implement proposed new rules governing materials it considers contraband. CDCr publicizes at its website that the purpose of these censorship rules is to forbid “publications that indicate an association with groups that are oppositional to authority and society [emphasis added].” (See Initial Statement of Reasons, p. 4. Under the new rules, the CDCr could permanently ban any publications it considers “contraband,” including publications containing political content and correspondence typically protected by First Amendment constitutional rights. 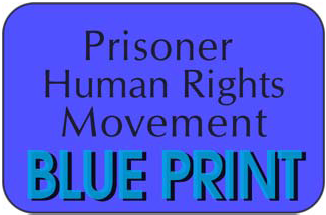 What are activists inside CDCr SHU torture units saying? What will the new rules do? Possession of contraband is a disciplinary violation resulting in specific punishments. Also, it can contribute to a person being validated as a member or associate of an STG (formerly termed “prison gang”), leading to a person’s indefinite placement in solitary confinement. Promote confiscation, censorship, and/or permanent banning of political mail: Under the current rules governing materials considered contraband (which are still in effect until the new rules are approved) every month’s issue of the San Francisco Bay View from January to June—except February’s—was disallowed at Pelican Bay State Prison, and withheld until well after the hunger strike began on July 8. Those issues were packed with letters from prisoners explaining and discussing the reasons for the upcoming strike. Under the new rules (subsection 3134.1(d)), however, an institution could permanently ban a publication in its decision to temporarily withhold it is affirmed by the Division of Adult Operations. Further criminalize culture, historical understanding and self-knowledge, and political dialogue: CDCr views political and historical writings, as well as materials relating to cultural identity, as an indication of association with an STG. As stated above, the new rules define “written materials or photographs that indicate and association with a validated STG member or associate” as contraband. Further criminalize correspondence overall: Subsection 3135(c)(14) adds “written materials or photographs going into or out of the prison that indicate an association with validated STG members or associates” to a list of “Disturbing or Offensive Correspondence” which may be prohibited. So, if a person’s mom sends her incarcerated son a photo of his brother, and if his brother is a validated STG member or associate, the photo is considered contraband! Further impacts for prisoners: Under current state law, media may not conduct face to face interviews with prisoners without a prison’s approval. During approved tours, reporters are only permitted to speak with individuals hand-picked by officials. Incarcerated persons are not allowed to send confidential mail to journalists about prison abuses. Under the new regulations, their outgoing mail can be banned altogether. If political publications are banned, prisoners will be cut off from nonviolent organizing efforts to improve their situation. 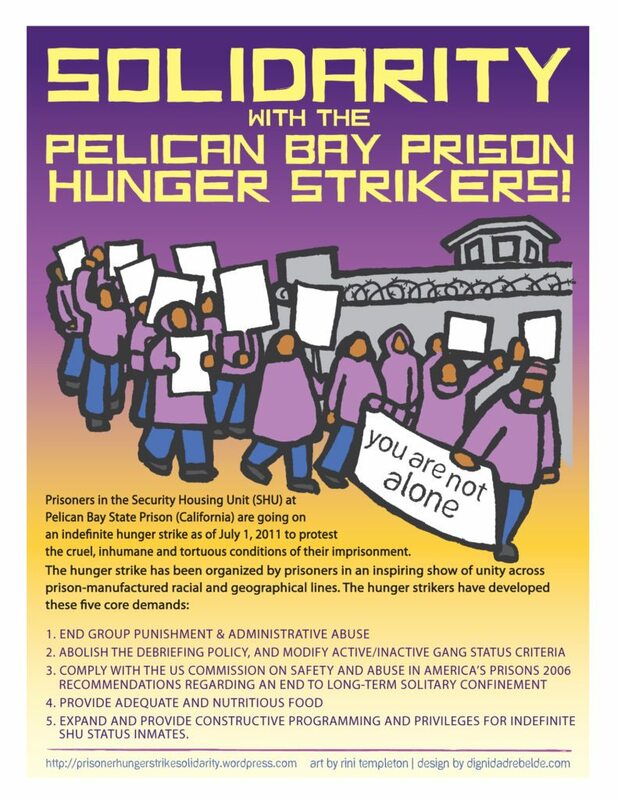 In California, where correspondence between prisoners is only allowed with institutional approval, or is punished, publications enable those suffering in silence and isolation to know s/he is not alone. How could this affect those with loved ones inside, activists, advocates and attorneys?Under the recently approved STG regulations that went into effect October 17, “STG suspect” is defined (under section 3000) as any person who, based on documented evidence, is involved periodically or regularly with the members or associates of a STG” [emphasis added]. Thus, the sheer number of items that can be considered contraband is limitless, as mail sent by any person who is considered an “STG suspect” —incarcerated or not—is apparently indicative of “an association with” a person validated as an STG affiliate. Mail mail and visiting privileges could be revoked for outside supporters and loved ones, in addition to any other consequences that may result. This would have the collateral effect of cutting off prisoners from direly needed contact and support and increasing their isolation. Public hearing date is November 10, 2014. Fight New Prison Censorship Rules- Submit Comments! Under the guise of “obscenity” regulations, the California Department of Corrections & Rehabilitation (CDCr) has proposed sweeping new political censorship rules for mail going both into and out of the prisons. If these changes are approved, CDCr will permanently ban any documents it defines as “contraband,” including political publications and correspondence that should be protected by First Amendment constitutional rights. The proposed regulations are designed with two main purposes: to censor writings that educate the public about what is actually occurring inside the prisons, and to stifle the intellectual and political education and organizing of prisoners themselves. 1.) Please weigh in and speak out against these regulations. THE PUBLIC COMMENT PERIOD IS OPEN UNTIL JUNE 17th at 5:00PM. Below are resources to help you write a comment letter. Find these resources & easily email your comments at Action Page.